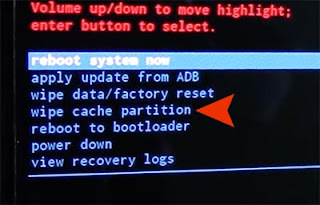 If you want to know everything about the Android Wipe Cache Partition so you are at right place where we will be going to provide all about the Android Wipe cache. If you don`t know the use of Wipe Cache so this is the method which is used to clean or remove the temporary files from any Android phone or tablet. It contains most temporary files and logs which is remembered by your phone after you use them on your phone. If you use any application many times on your devices so the history of this application still left some of the files on your phone storage. To clean or remove this kind of files we use the Wipe Cache Partition to remove them from our phone storage. If you want to know more about the Cache so you can get the example of your browser. When we use our browser to surf the website and blogs on your phone and we all know that the history of these pages will still remain with our browser. If we don`t clean our browser history the pages will remain there and create some kind of problems. The Wipe Cache does not delete your apps and files it only removes the dummy and temporary files from our phone and this will help us to improve our phone performance. Black screen during the use of the phone. Decrease the speed of our phone. The apps will give the slow performance. Lag into the user interface. We face error and many other problems. Press Volume up and power button at same time. Only release your finger from the power button once your phone vibrates. You can see a black screen with some options. Use the volume down and volume up keys to navigate this menu and get the bar to the Wipe Cache Partition. The power button will help you as an enter key. Once you click on the option the phone will reset after 20 seconds and it shows the done message. Than easily reboot your phone and see if your problems are fixed or not. You can also be done this setup from your phone setting for doing this follow the following setups. First of all, open your home and go to the setting. Than easily click on the App manager. Here you can see Clear Data or Clean Cache than click. 0 Response to "What is Android Wipe Cache Partition and How To Use"